I published a post a few months ago about sales. Even though this is a marketing blog, I realize that selling is part of my everyday life and in my job as a marketer. Pitching an idea I want my boss/a client to buy into through to selling myself in an interview (for a job or to a prospective mate) I am selling. I was driving a few weeks ago and heard an author on CBC radio (public radio in Canada) being interviewed about sales. 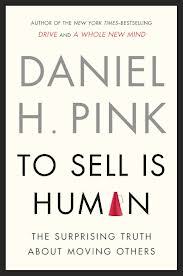 The author – Daniel Pink – was there to promote his latest book To Sell Is Human. Pink is also the author of Drive – a book I enjoyed last year about what motivates us. His premise this time is that we are all essentially in sales in what he calls non sales selling. Daniel suggests that we regularly “persuade, influence, cajole and convince” at work and or at home. I am waiting for this book to arrive but wanted to share a few really interesting points from the broadcast. Information asymmetry no longer exists. We know this as marketers thanks to the explosion of social media. Information is not hidden or hard to find. In today’s age buyers have significant access to information and lots of options to purchase, so the seller is the person on notice. It’s no longer buyer beware according to Pink but seller beware. I have taken some sales training over the past few years as a marketer with business development in my responsibilities and I really like the point about problem finding. Asking good questions and helping a client see an opportunity to do something better is a sure winner to build more trust and sell more of whatever you have to offer. Extroverts Make Better Salespeople … Right? Daniel points to some about to be published research by Adam Grant (a superstar management professor from Wharton) that shows the correlation between extroversion and sales performance is close to zero(!). Along the introvert-extrovert scale of 1-7 (1 being an introvert and 7 being an extrovert), the best sales performers are in the middle – the 3s, 4’s and 5’s called ambiverts. A die-hard introvert won’t have the confidence to ask the right questions, make a personal connection or steer the conversation towards a sale. On the other end of the spectrum, an extrovert is no better. Have you been in front of a true extrovert? Could you get a word in? Did they even listen to you/understand what your problem is? No and that’s why they aren’t great salespeople either. Ambiverts are the best because they can calibrate their reaction. They know when to listen and when to talk. The good news for all of us who fall between quiet wallflowers and the person who can walk into a room full of strangers and enjoy meeting everyone is that we are the natural born salespeople. Is taking a page from Oprah or Tony Robbins a good idea for salespeople? Instead of using affirmative, positive self talk (i.e. saying to yourself I am going to close this Sale, I am going to close this sale), Daniel says it’s better to ask yourself the question ‘Can I do this?’ Why? Because a question is a more active statement and you are more likely to put some thought into your meeting and how to best prepare for it (research the company; write a list of questions down; make sure you are meeting the right person; prepare for expected objections). Or decide it’s a lost cause and focus your efforts on better leads. When you have a few moments (podcast is 20 minutes long), try the link below. Or you can pick up his book To Sell Is Human online at Amazon or Chapters. Send this to all of your trucker friends or Mercedes-Benz owners. Campaigns like this, you can just see someone had a great idea moment! I love looking up at lorry drivers as they go past, but you never really think of or see what they see from their high point of view, now we have an ad that targets them specifically! Only for their eyes! I am writing this as the first in a series of posts under the title ‘This is Good Loyalty’ as a means to recognize companies who do a good or great job of practicing loyalty. This inaugural post will go to a loyalty fav of mine – the Starwood Preferred Hotel program (SPG). The program includes Sheraton, Weston, Aloft, the W Hotels and Regis properties (https://www.starwoodhotels.com/preferredguest/index.html). Employees are an ever more important asset in a comapny’s efforts to build stroner customer loyalty. I stayed one night at a Sheraton property in Buffalo over the holidays (New Year’s Eve). We dropped our bags off before dinner and left for the evening. Upon our return we had a great deal of trouble getting any sleep because of the noise of the fan in the room’s wall unit heater. If we turned it off it completely it became too cold and even if we kept it on at the lowest level it was too loud for me to sleep. Needless to say I did not get a good night’s sleep. I was exhausted and angry but didn’t say anything to the staff at the counter at checkout. The response came from the person in charge. I think we all feel better when the person responsible for the department/building/company replies directly. It just feels more deeply heard if that person is the contact. The resolution was fair value. An ‘okay’ response might have been to credit me 1,000 points. It’s a nice round number and a thousand sounds ‘fair’. But if the ‘credit’ is too low, it runs the risk of being construed as insulting and make the situation worse. But SPG gave me value something closer to what I would have thought as fair compensation for a poorly delivered service experience. The 5,000 SPG is almost a full free night (A ‘A’ score of course would have been to credfit me the full night’s cost or 7,000 points) . They are resolving the problem. I know they aren’t renovating the hotel because of my complaint but when the problem I faced is being fixed, it makes me feel as thought they get it. At this past year’s DMA, one of the best seminar’s I attended was a Catalogue Marketing Seminar lead by Lois Brayfield. Ms Brayfield is the President of J Schmid, a catalogue design and marketing agency in the US (www.jschmid.com). She has 20 years of studying direct marketing and catalogue experience working with many of the country’s leading direct marketers, including Hallmark, American Express, HoneyBaked Ham, Sprint, Better Homes & Gardens, Sears ( Canada ) and Mark & Spencer (UK). Multiple studies prove the value of a catalogue and it continues to be the most effective acquisition and retention tool for many brands (Forester, McKinsey & Company, DMA). Now whereas catalogues are still big business in the US , they are used to a lesser extent in Canada . But I think as you read through these notes, you will see tips you could use in your retail flyers if you aren’t in the catalogue business. Her work in this space has lead her to the conclusion that cataloguers must do 3 things right in order to be successful. She says this list is required to engage prospects and customers in order to sell your product in today’s ultra competitive market. “If you can engage your customers meaningfully, you are significantly more likely to convert”. You must begin by knowing your customers & what they care about. Most companies will have this information ready. If not, then you need to conduct research and everyone in marketing/sales needs to be current on what their list is and how responses are trending. In marketing and sales we often hear that we need to talk about benefits not just features. Ms Brayfield suggests we push further and reach for higher order benefits. In today’s ever changing retail environment, product differentiation is slim and when it does truly exist, it can be copied quickly. Given we often buy for emotional reasons, stretching beyond standard benefits is the sweet spot. What is a higher order benefit? It is the emotional takeaway for customers – the intangible benefit they receive from transacting with you. Customers today are asking, “What’s in it for me?” but we’ve been missing the point. We’ve been telling them WHAT we’re selling, but they want to know WHY they should buy. And the Why is the most important of these questions – it must be well developed and protected. For example Targets higher order benefit is ‘affordable style’. We see a lot of QR codes today but most are a waste of time – they take you to the company’s home page. Why waste a customer’s time scanning the code only to disappoint them with something they can do on their own? Instead give them something unique not offered on your website. A fun video on the product…a contest…vote…an offer. Again best practice dictates you tell people what they are going to get by scanning through the QR code. If you have good content or a good offer, people will act. With the digital call to action, simplicity wins says Ms Brayfiled. People are busier than ever and when customers interact with you digitally, they want to do so quickly and easily (I think being ‘online’ ignites the ADD in us all). In general, catalogues are too safe according to Ms Brayfield. “You will not succeed in this extra sensory environment” with safe creative. “We have forgotten that we need to stand out – the brain notices what is different”. Certainly this is easier said than done, but she did challenge us to break some taboos. And not just for the fun of being ‘creative’. Your difference needs to be tied to what’s important to your customers. The four places to stand out are: covers, images, copy and themes. •Sell – yes sell even on the cover!!! Your cover is the best way to test offers so try to find ways to do so. I know in my own work with cataloguers, testing is not used as much as it was 5-10 years ago. Budgets are tight so often the focus is on cost as opposed to ROI improvement that testing can lead to. Patagonia and Pigalog were two of her cover favourites. (b) Images: We all know people look at picture first so your images – products and supporting imagery – are of paramount importance. Lotus Touch changed their imagery to sell the higher order benefit of the product as opposed to just selling the product and sales took off. JL Powell and again Patagonia also do an excellent job using arresting images in their work. (c) Copy: Copy is the poor cousin in the creative family. Good copy is MORE than just well written product descriptions. It should mean making your benefits intangible…solving a customer problem…creating credibility and trust … and connecting at an emotional level. Be a storyteller or a problem solver and you can more easily enable the higher order benefit your product addresses. Even the product description itself can be better than ‘a red bathing suit’ – it can become ‘get your hourglass figure’ (i.e. cyberswim). So copy is fourth (or 2nd) on the list but it’s on the list. Therefore it’s important. (d) Themes – Themes are catalogue spreads that tell us a collective story. Instead of only having product categories, themes allow you to present products in other groupings. 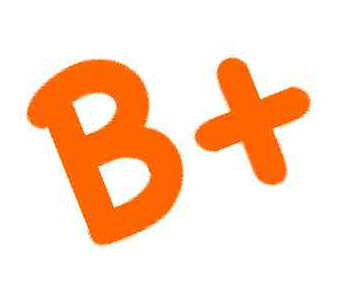 Ms Brayfield reported that themed sections typically outperform other spreads in her experience. It is an opportunity to weave storytelling within your catalogue.